With the advances of Big Data Analytics, we thought, why not harness it's power for getting insights and gather better understanding of our own Personal Finances. Analytics can help us understand our income sources & spending buckets and based on that, we can determine where we stand each month financially. By studying our expense patterns, we can gain insights on where we can put in cuts in order to save effectively as well. We can also understand what sort of Expenses can be curtailed, where we can increase our income sources & savings, etc. With more insights, comes more power to grow our nest eggs! And thus was born, My Finance Tracker. In order to use Analytics, we need data. 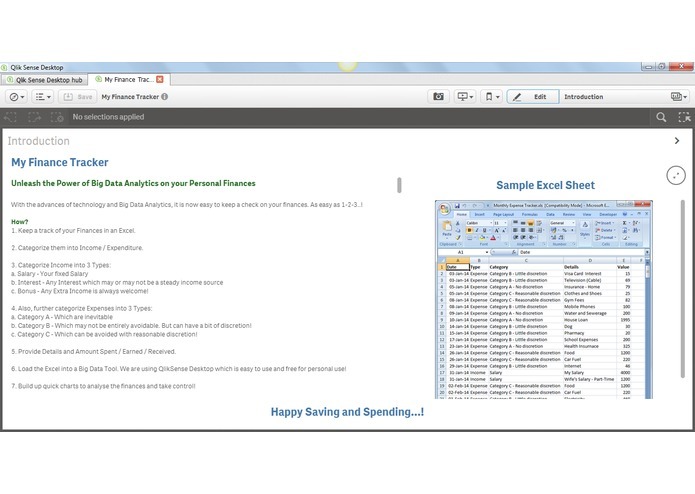 All you need to do is to keep a track of your Finances in an Excel on a regular basis. Categorize Income into 3 Types: a. Salary - Your fixed Salary b. Interest - Any Interest which may or may not be a steady income source c. Bonus - Any Extra Income is always welcome! Also, further categorize Expenses into 3 Types: a. Category A - Which are inevitable b. Category B - Which may not be entirely avoidable. But can have a bit of discretion! c. Category C - Which can be avoided with reasonable discretion! Provide Details and Amount Spent / Earned / Received. 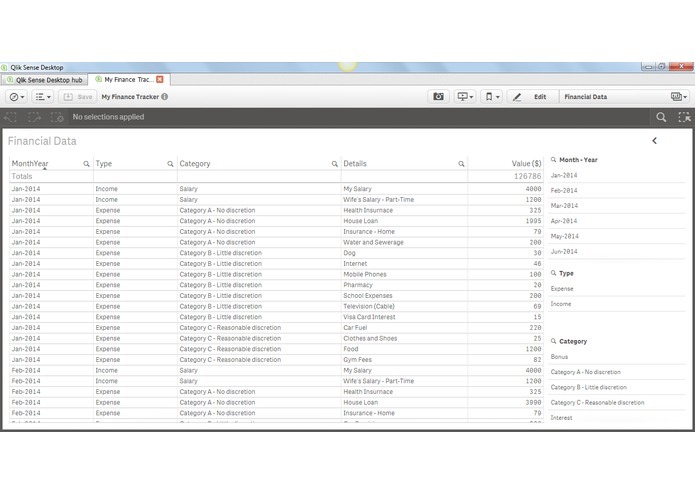 Load the Excel into a Big Data Tool. 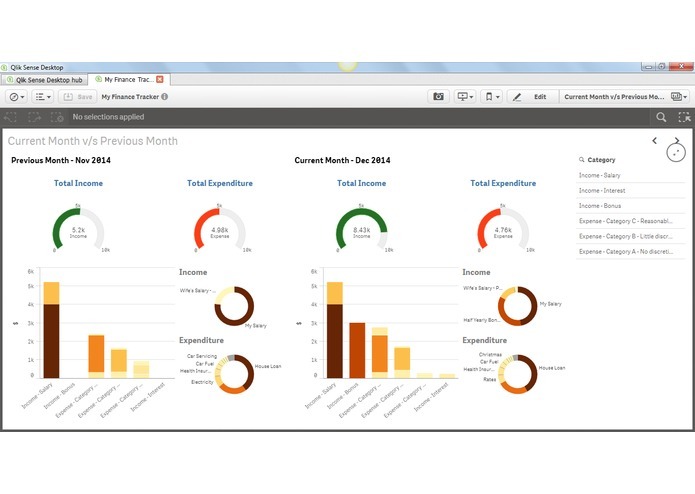 We are using QlikSense Desktop which is easy to use and free for personal use! 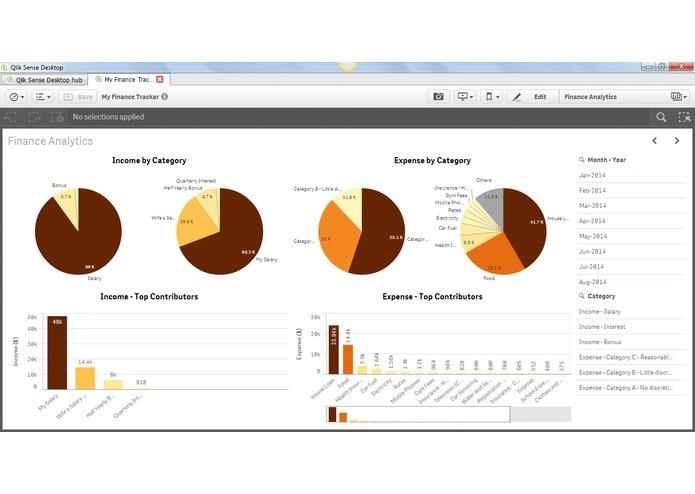 Build up quick charts to analyse the finances and take control! The video demonstrates 4 dashboards that we have built - Income v/s Expenditure, Financial Analytics, Previous Month v/s Current Month and Financial Data. 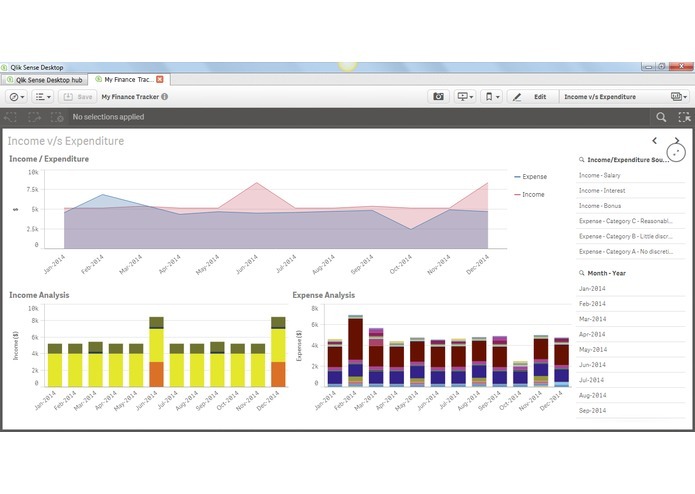 You can always add upon more dashboards which can help build insights. Using Analytics can be helpful in our day-to-day activities and is not just for big corporations! We can use technology to understand our spendings and savings and thereby, plan & budget effectively for a better living.